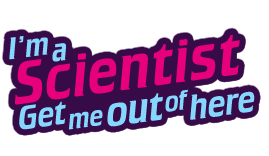 I’m a Scientist, Get me out of here is an online STEM outreach competition that gets people in science talking with curious school students. ScotCHEM is funding places for chemists in the Molecule Zone, running 4 – 15 March 2019 as part of British Science Week. Taking part is an enjoyable and easy way to get involved in British Science Week. You’ll develop your communication skills and gain a fresh perspective on your work, through showing students what it’s really like to be a chemist. Fill in your profile page, answer questions and use the text-based chat system with students at schools in Scotland and the North of England. Everything happens online; you take part from your desk or smartphone. There’s no need to prepare activities or take time out of the lab. Even better, students vote for their favourite chemist, who wins £500 to fund more outreach activities. *Add your own bad chemistry pun. You’ll need a joke for your profile page.